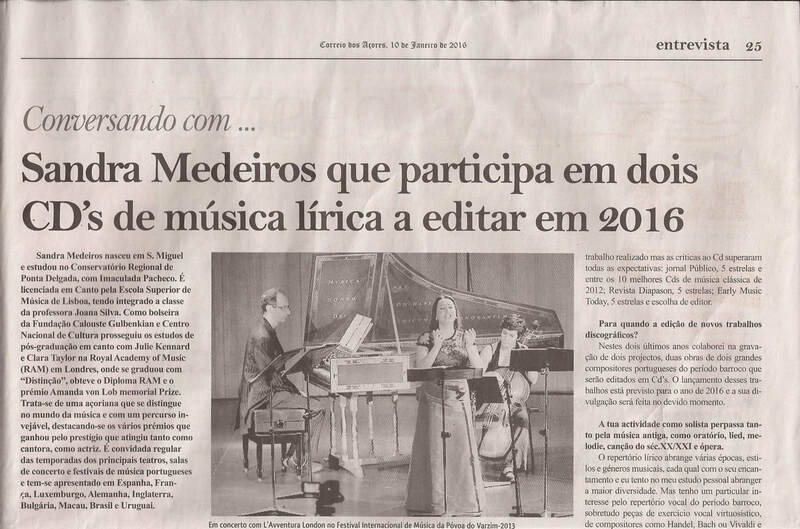 "The soprano Sandra Mann stood out in Tibi omnes angeli and Aeterna fac by showing musical intelligence, stylistic correction and admirable vocal agility "
"... And the wave of the baroque universe under the direction of Marcos Magalhães ahead of Músicos do Tejo (a style lesson starring Sandra Medeiros whose smashing interpretation caused a deserved delirium in the auditorium, which hailed the way a soprano voice penetrated the intricacies of Handel’s universe)"
"For the modern resuscitation of this oratory, Divino Sospiro tried to surround itself by great quality singers. 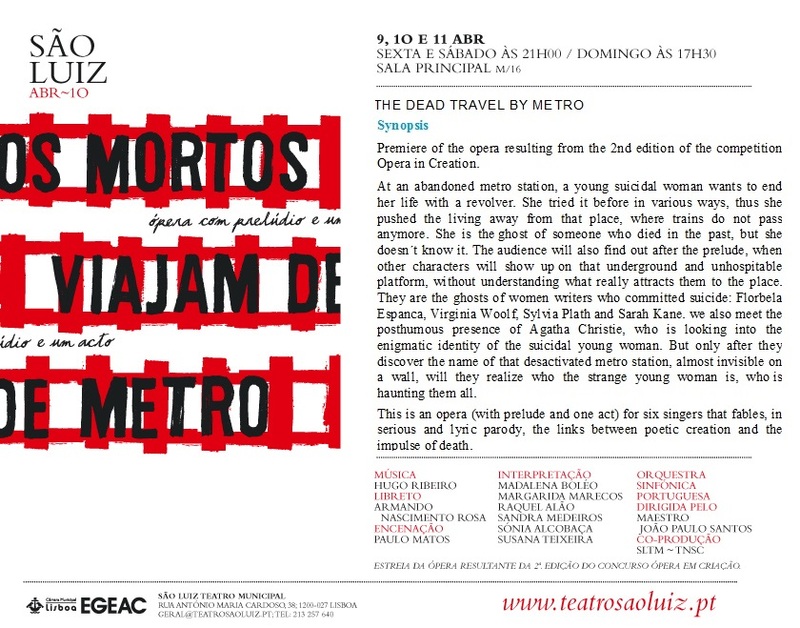 (...) Sandra Medeiros, in a highly demanding role, made the best use of a nervous voice, striking and virtuosic, lending Abel’s character a "terribilità" appropriate of the tragedy." 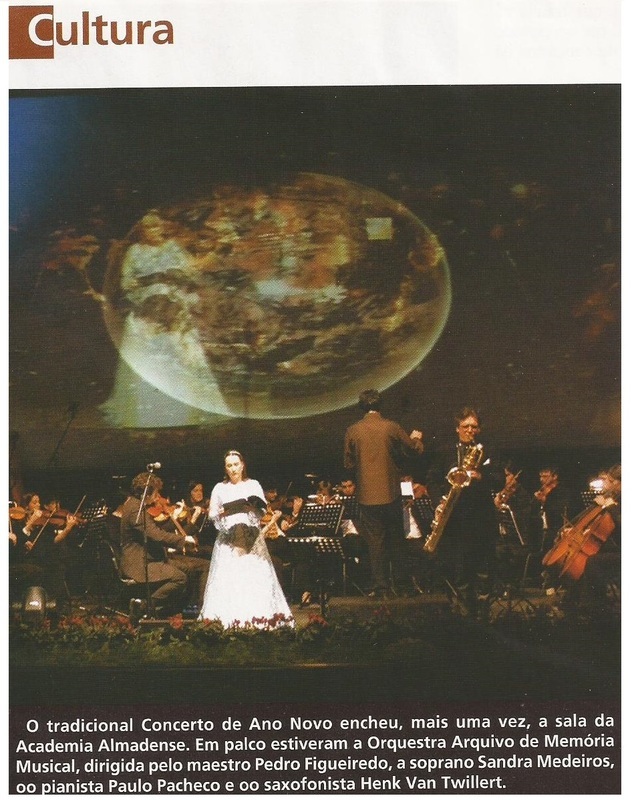 "In general, all interpreters performed at a high level. 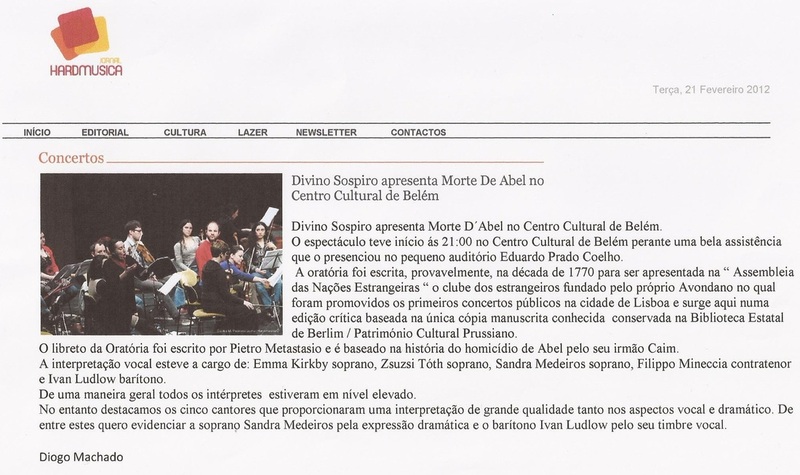 However, we highlight the five singers who provided an interpretation of great quality both in vocal and dramatic aspects. 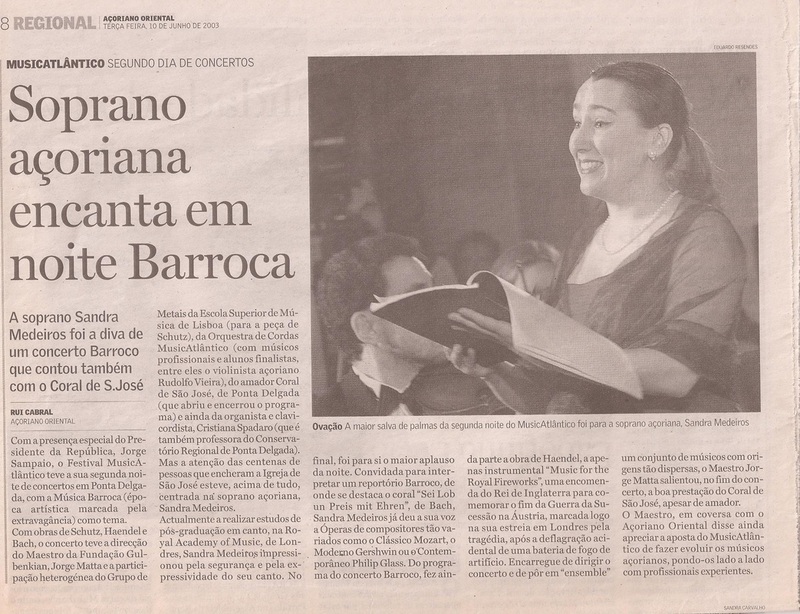 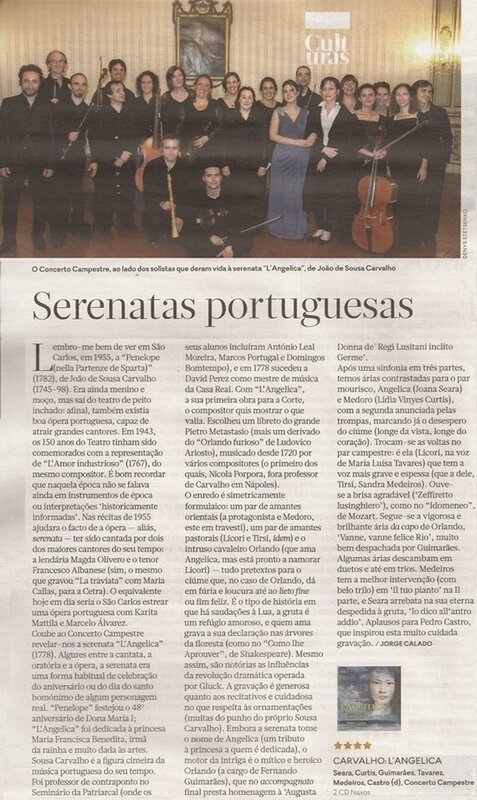 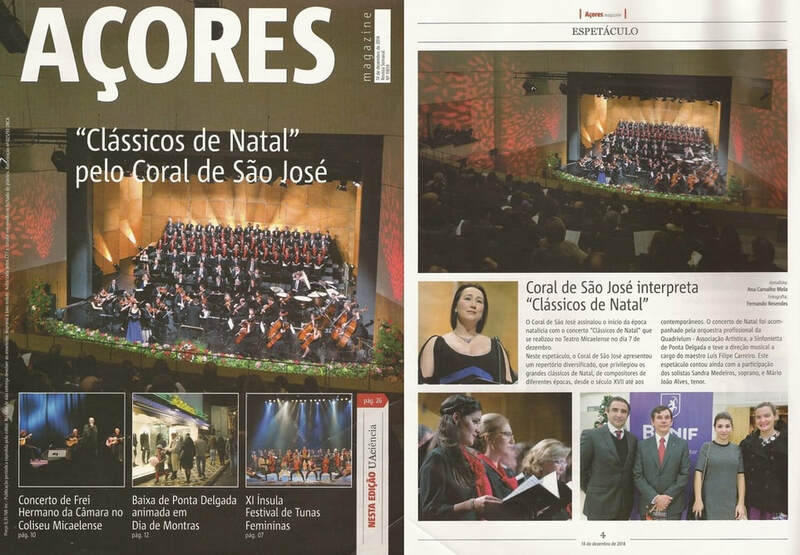 Among them I would like to highlight the soprano Sandra Medeiros for her dramatic expression (...) "
"The Azorean soprano Sandra Medeiros starred in one of the most beautiful moments of the night."